Silver is a great hair color for superheroes. In addition to its striking appearance, we imagine it’s very easy for comic book artists to color in. Whether they can summon lightning storms, run at mach five, or see into the future, many great characters share this pewtery hair color, not to mention myriad anime characters as well. Come to think of it, George Washington had silver hair too. Does that mean America is the first country that was founded by a mutant? Undoubtedly yes! 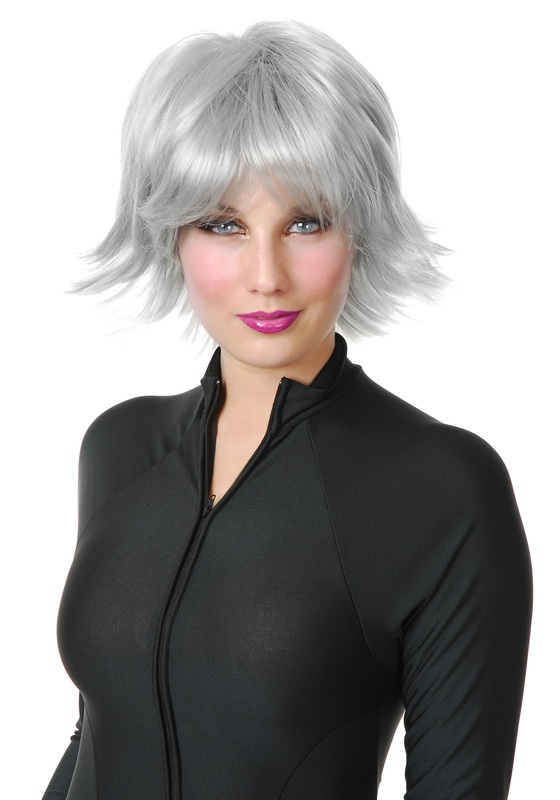 Our Silver Superhero Wig is made from durable synthetic fibers, so it’s safe from the sun or spilled drinks. Its mesh cap interior fits comfortably so you won’t be distracted from saving the day -- or ruining it, depending on your alignment. We don’t judge!